We love to spend time with kids and help them learn how to catch fish all by themselves. As professional offshore fishing guides who specialize in family fishing, children and kids learning how to fish is very important to us. With everything that goes on in the world today, we believe it is extremely important to spend quality time with your children and kids. 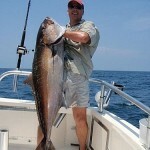 We are different than any other charter fishing operation. We do our best to mentor children and interact with them the best we can. We even speak to them at different levels, depending on their age. Older kids 10 and up, we share encouraging life stories and lessons that we have learned over the years, in order to help them identify who they may want to become one day. For instance, as a child I always wanted to be a charter fisherman and a commercial pilot. If it weren’t for those mentors in my life encouraging and talking to me, I would have never taken a chance to become who I am today. I had some really strong, Christian men and women in my life who cared about me and taught me how to treat and respect other people. That is why over the past 16 years, I have been able to watch my customers children grow and to see what they become. I have seen kids who’s grades have improved, become better at sports and some are even really good parents now. I have also seen children who were shy and didn’t want to participate in fishing, become really good anglers. Children and family fishing have been very rewarding for me. You will love how good we treat you! On a typical half day trip, there is an 1 3/4 hour to 2 hour ride going offshore to the fishing grounds, pulling lines the whole time (during the late spring, summer and fall months). We try and catch you fish from the time we enter the gulf, troll offshore, bottom fish and then troll back home. 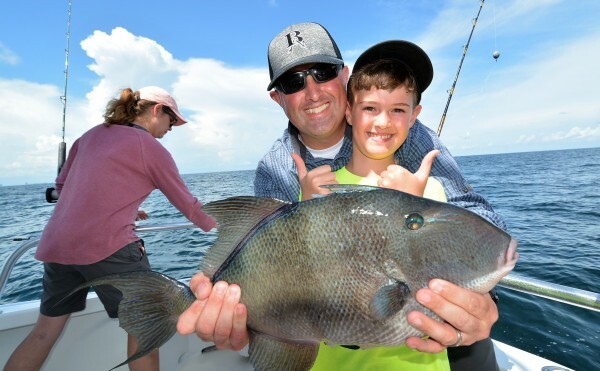 Any trip less than a half day may not produce the variety of fish, nor give you the experience you really want for your kids. 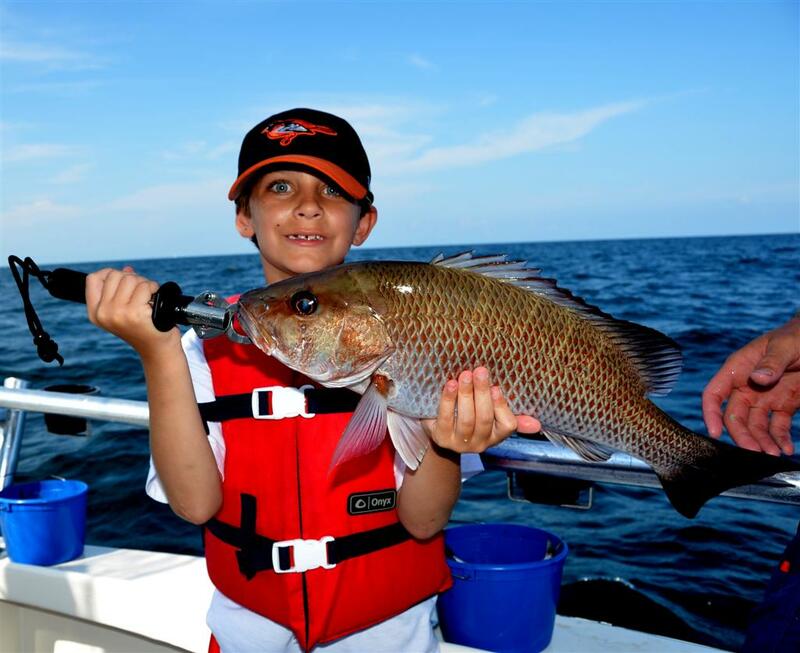 Since we are all about kids and families catching fish, that is why we only offer choices of half day or full day trips. Being the first offshore charter boat in Orange Beach to focus on and become highly specialized in kid’s fishing, is the most rewarding thing I have ever done in my life. When we think of kids, I am talking about little ones as young as 4 years of age, all the way up to college age. I must warn you that I love to have fun while you are on our charter boat. I have even been known to poke a little fun at teenagers and older kids are fair game. If they fall asleep, they are fair game. I assure you, it’s all in good taste and clean humor. When it comes to kids fishing, I have over 10 years of experience and are considered to be the “go to guy” for families that want their kids to be able to experience something that other kids can’t do. You get a “G” rated environment that is full of action for kids of all ages. I drive the boat from upstairs and I have a sign that says “Guest Welcome in Wheelhouse.” That means we would love to have you and your kids come up, hang around, get involved and ultimately, check it all out. You kids are always welcome up there with me and drive the boat (as long as they are safe). Kids learning about fishing is as important as fishing itself. Your kids will love our half day trips. Being a father and now a grandfather, I know how fast they grow up and we parents only have a short time to make a difference and have a positive effect on their lives before they are grown up. 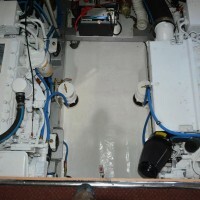 For that reason, I developed proven ways to keep all kids attention and get them involved while they are on our boat. I have books about fish, ropes to tie knots with, blank pieces of paper with colored pencils that I use to encourage kids to draw what they saw today. I always invite kids up in the wheelhouse and help me drive the boat. As far as age goes, we take kids as young as 4 years-old all the time and we have found out that they often do better than the parents do. All I want is for you to have a good time and experience a unique deep sea fishing trip Now does that sound like fun?. 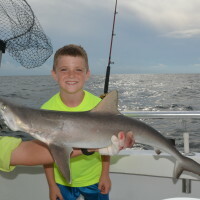 Why the half day deep sea fishing trip is best for kids? 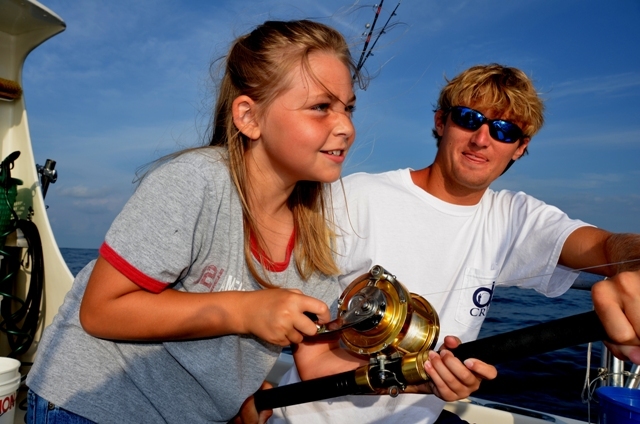 One of the biggest concerns parents have about deep sea fishing is how long of a trip should they book and how young can kids and children be to go? The longest trip I offer is the half day. It is the most requested charter we have. It is perfect for first timers and offers some great opportunities to experience more types and styles of fishing. 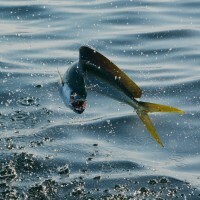 This fishing charter also allows you a chance to see some amazing animals and fish species. 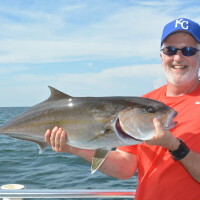 By choosing the trolling/bottom fishing on the half day trips, those fish are always there because they are on a reef. When it comes to catching fish, as long as they are around, we can catch them. Even if they are not in season, we can take you to catch some big fish that you can get your picture with before we gently let them go. 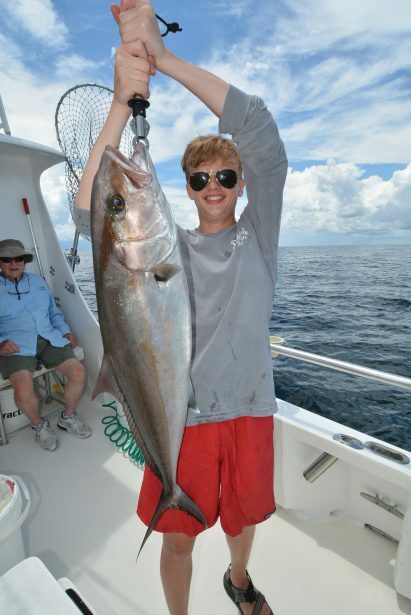 You are probably beginning to realize that we are different than any other fishing charter in Orange Beach, Alabama. What we offer you is so amazingly unique, you cannot find it anywhere else. Imagine finding a captain and crew that call your kids by name and make them feel at home from the first moment we meet. Imagine finding a captain who doesn’t mind them asking a million questions. Imagine the look on their faces when they catch a big fish using light tackle. 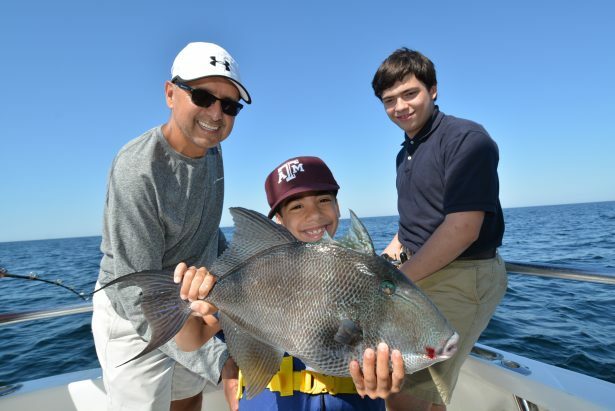 Imagine a fishing charter that allows parents a chance to unwind, relax and rejuvenate while catching a few fish. Imagine the how pleased you will be when you find the perfect charter boat for your kids. We love it when kids get grab the pole and start fighting a big fish. I want your kids to be exposed to as many different opportunities as they can while fishing on my boat, but ultimately, it’s their decision to engage or disengage. We don’t push kids to do anything that is unsafe – we do encourage them to try things that stretch their comfort zone, but ultimately its up to them. The only thing I try to make them do is hold the fish they caught (by hand or with a holder) so I can take their picture for you. This way, they don’t even have to get their hands icky. Those kids who are outdoorsy types, love touching and feeling the fish certainly don’t mind the opportunity to explore, discover and learn. This year, I had an funny instance where I asked a teenager to hold a fish with the boga grip and she told me, “I’m Good.” I had never heard that before. I quickly replied, “I didn’t ask you how you are feeling, I asked you to hold a fish.” We all got a good laugh and she ended up holding the fish and I got a picture of her holding a fish with a funny look on her face. I do not have video games, a play station, movie or a television to entertain your kids. You are always welcome to bring your own games. 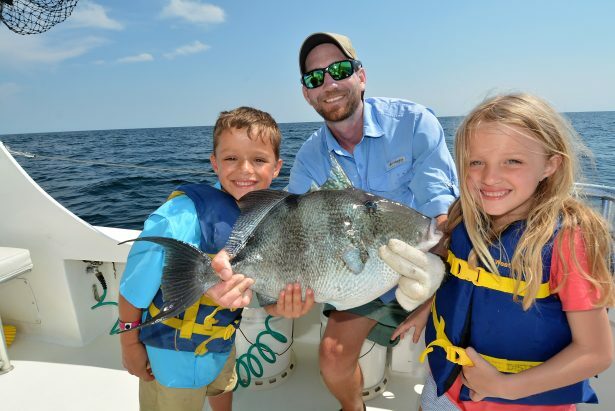 I look at entertainment differently than other guides on the Alabama Gulf Coast. Remember, I am married to a school teacher, have four adult kids and a bunch of grand kids of my own and I have been trained to take kids out of their realm of familiar and do something different. Besides, you are only going to be away from shore for a few hours and I don’t want kids to be able to do the same thing they do back home or at the condo. What we offer is a chance to expose your kids to something new and exciting while in an environment where it is ok to ask us a million questions, tie knots, come upstairs and drive the boat.